There are many reasons why buying your first home are appealing. The idea of being a homeowner and having a permanent home for you and your family, is the most common one. If you’re not familiar with what steps you need to take or how to get started, we would like to share what we feel are the top five steps to take to purchase your first home. Prepare Finances – Before applying for property, it is obviously important for buyers to know their budget. However, financial preparation goes much further than just budgetary concerns. You will need to know what your credit scores are and how much home you can purchase that will fit in your budget. Getting prequalified with a lender is the most important thing. You don’t want to fall in love with a home only to find that you can’t afford that price range at this time or that even worse you don’t qualify for the loan. Research a real estate agent- The most common way to find a Realtor is through friends and family recommendations. Based on the best suggestions, go to various real estate websites and research agents and brokers that will best suit your needs for your dream home. Research the property – Like any important decision, research is key. Educate yourself about the builders, property managers or the homeowner association that manages the housing addition. Get to know the neighborhood itself including the school system, availability of services you are used to or desire and any areas of importance. Make an offer – Examine your finances again and place a reasonable offer, leaving room for negotiation. Also, when applying for a mortgage, be sure to discuss with your loan officer the amount of down payment you will need for the loan program you are qualified for. Prepare to close – Closing does not mean simply covering all associated costs. Buyers should be prepared to tie up loose ends and make any necessary purchases in order to protect the safety and security of their new investment, including a title insurance policy. Title Insurance offers buyers protection against a variety of circumstances that could potentially jeopardize the transaction, including any undiscovered liens or levies on the property, or unpaid taxes from previous owners. Buying your first home is extremely exciting and can be overwhelming at times since there are a lot of factors to look at before you actually start looking a potential homes. We hope that these five tips are helpful in your journey to homeownership. 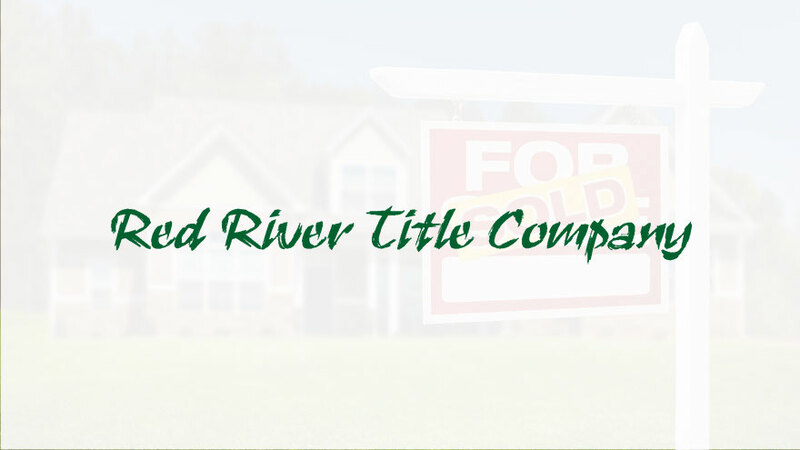 If you have any questions or comments please don’t hesitate to reach out to us here at Red River Title Company, we would love to answer your questions. NextWhat do you mean no chickens? !